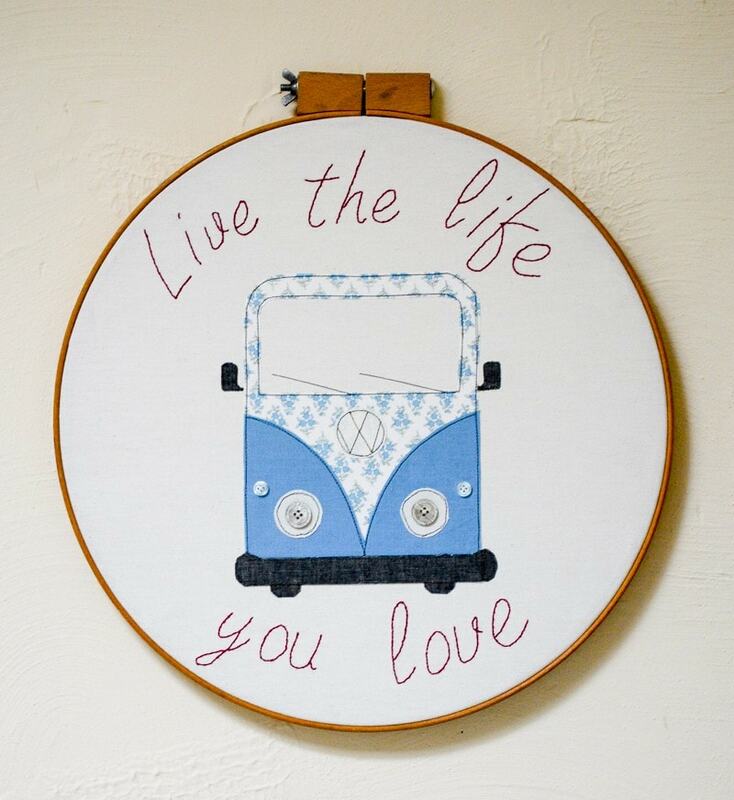 Create your own stylish campervan embroidery hoop art, with a slogan to encourage you to follow your dreams. There is something about this time of year where we reflect, make plans, contemplate where we would like to go this year. Every year my husband says “I would like more holidays”! When I spotted the large embroidery hoop at the local charity shop I just had to purchase it! This one was 18.5″ diameter, I didn’t realise they are made that big, what a find. It is perfect for framing an inspiring text. Naturally, I have used upcycled materials – the calico is from an old fabric wardrobe, the applique fabrics are a duvet cover and fabric remnant found in a charity shop. 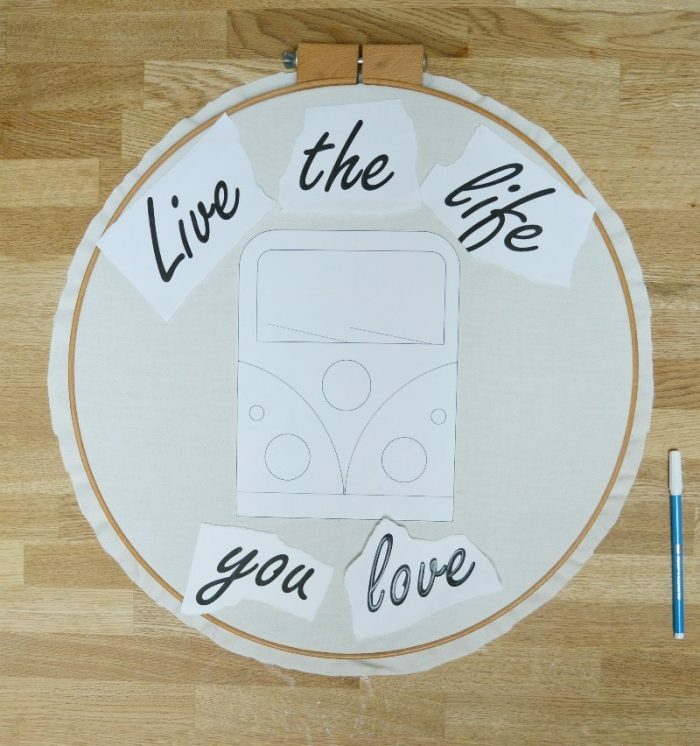 If you would like to make your own I have created free templates you can download – Campervan Embroidery Hoop Applique Design. 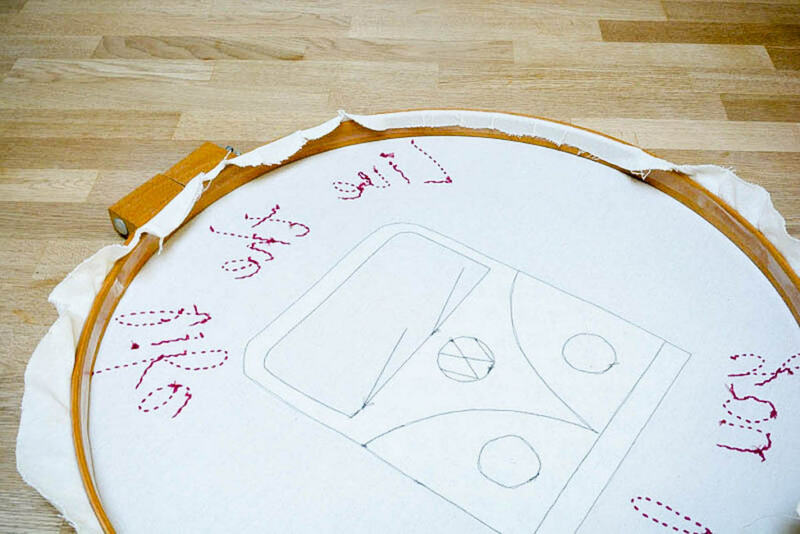 Place your calico into the embroidery hoop. Tip – make sure you stretch the fabric really tight and ensure the grain of the fabric runs vertically. 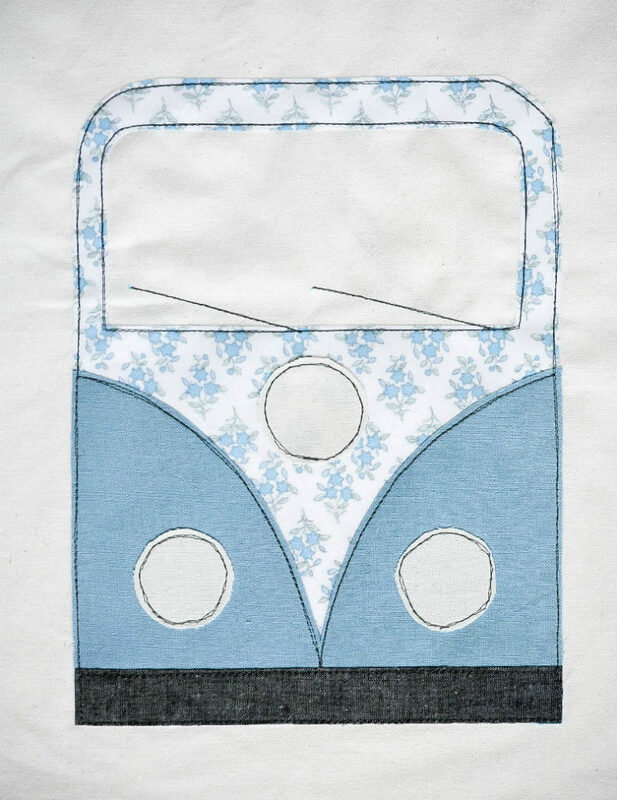 Use a dissolvable pen to mark the placement of the campervan design with dots. Play with different fabrics for the design and see what works for you. Prepare your chosen fabrics by ironing them. 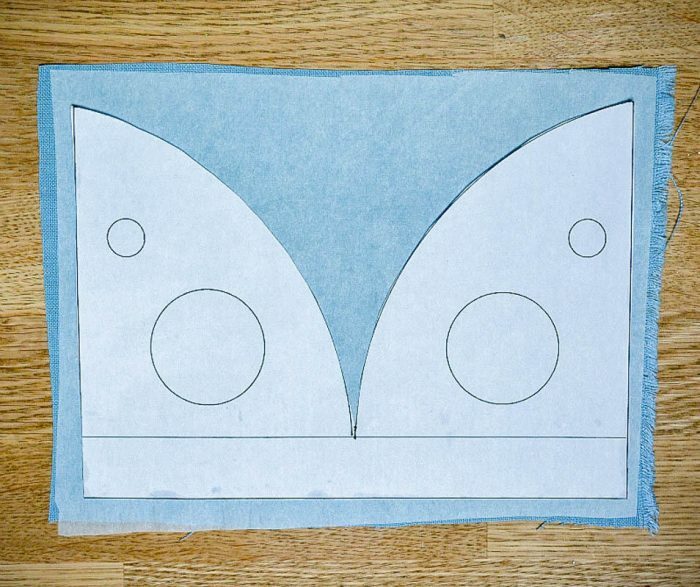 Trim to a slightly larger size than the applique design. Iron on the bondaweb to the reverse of each piece of fabric. 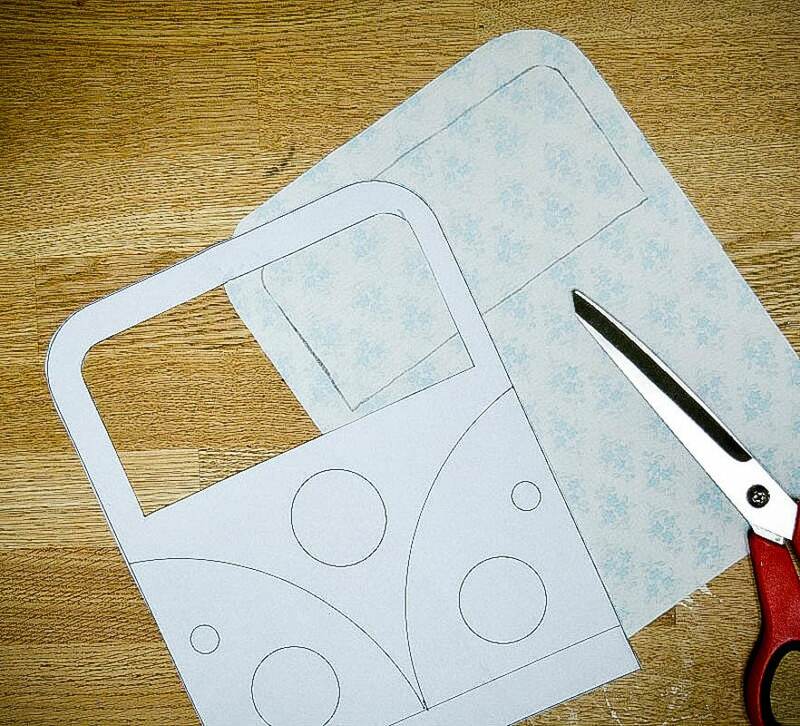 Using the template cut out the largest shape (that’s the base of the campervan). Peel the paper off the bondaweb and position this carefully on your calico (aligning with your dots) and iron on. The bondaweb acts as an adhesive and fuses the two fabrics together. Prepare your next shape. This is the ‘v’ plus the bumper – see image below. Cut out as per the template and peel the paper off the bondaweb. Position and iron to fuse together. Add your bumper, and then the circular shapes in the same way. Machine embroider around the shapes. Add in the windscreen wipers. You can either do this with your regular machine foot, by stitching slowly and turning carefully, or you can use a free style embroidery foot. Choose and sew on buttons. Trace the lettering onto your calico. 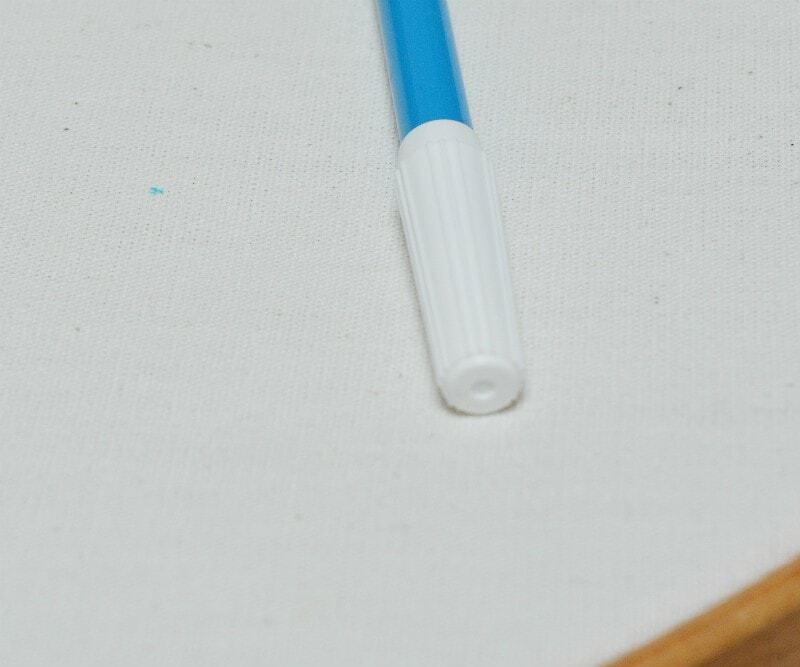 I used a pencil but I suggest you use your dissolvable pen, because this is easier to remove than pencil once stitched. Embroider the lettering. 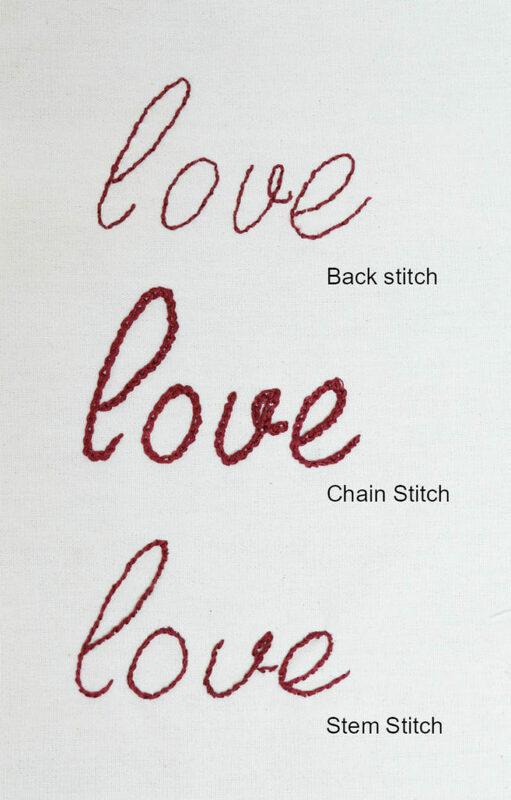 I suggest back stitch, stem stitch or chain stitch. 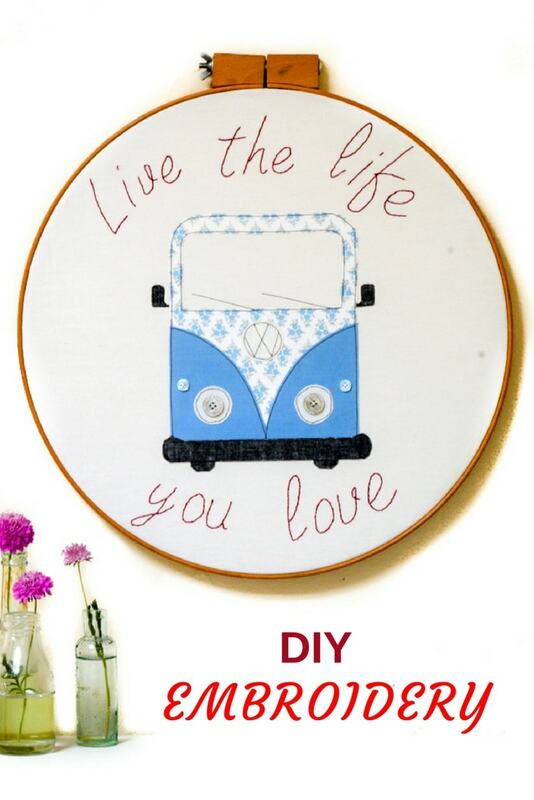 I produced a sample of each, then chose to use backstitch because it seemed to complement the image and didn’t overpower the campervan (you can find a tutorial here). 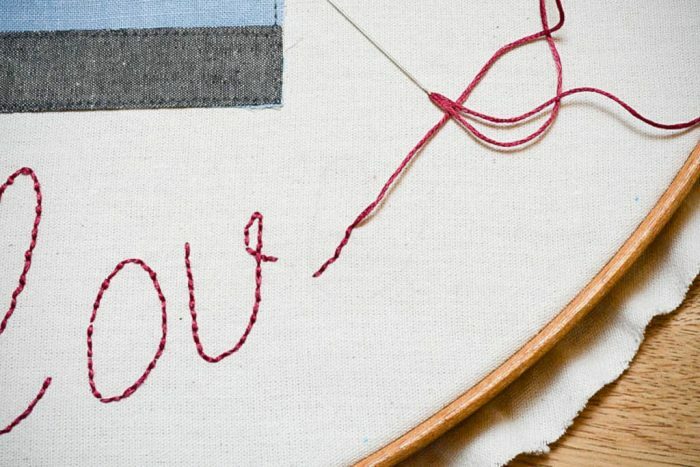 Tip – Consider the finishing off of your embroidery thread on the back. Do not carry the thread over from letter to letter to ensure it does not show through on the front. Lastly, trim your excess calico. 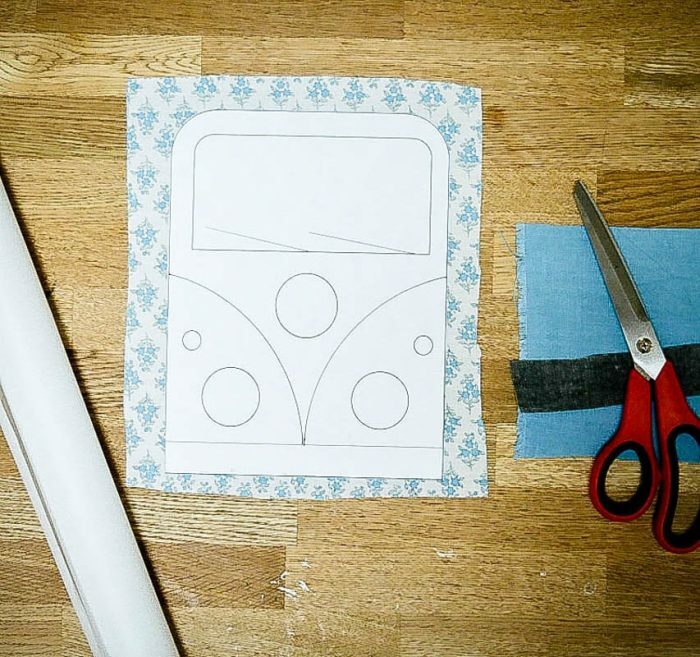 Stick to the inside of the back of the frame using double-sided tape. Change the words to suit you – an inspirational quote from a book perhaps? Perfect for reminding oneself of your goals and aspirations in life. What a super idea. I have a caravan and could adapt this project, not sure my stitching would be as neat as yours though. 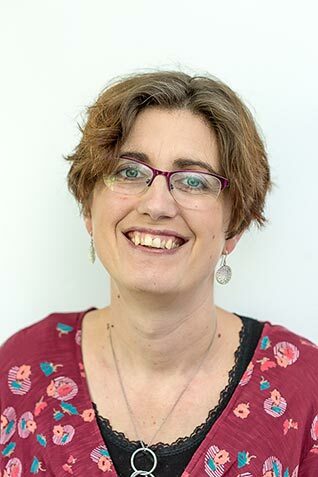 Wow Vicky, this is lovely. And what a great find with this embroidery hoop. A great design, Vicki, and a sentiment to live by. Well done on using all pre-loved materials. This would look great on a bag, too. I’d love you to add this to the Embroidery, Stitching & Appliqué linky.